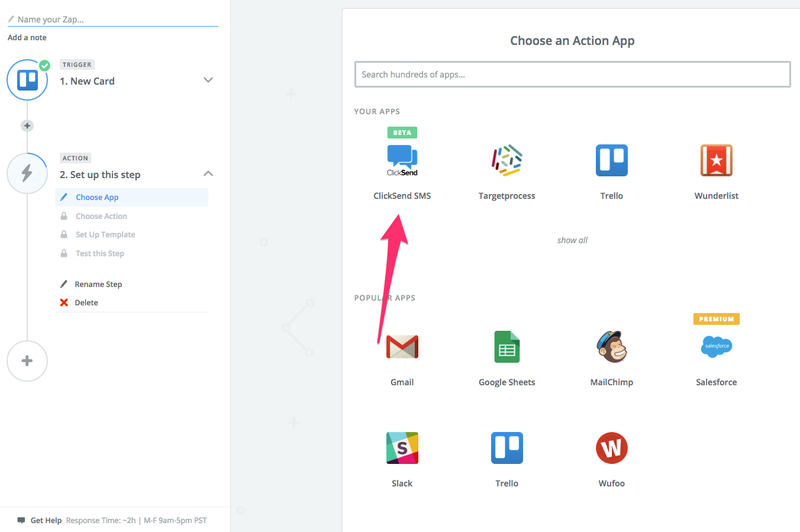 Zapier allows you to connect a variety of web applications to ClickSend. 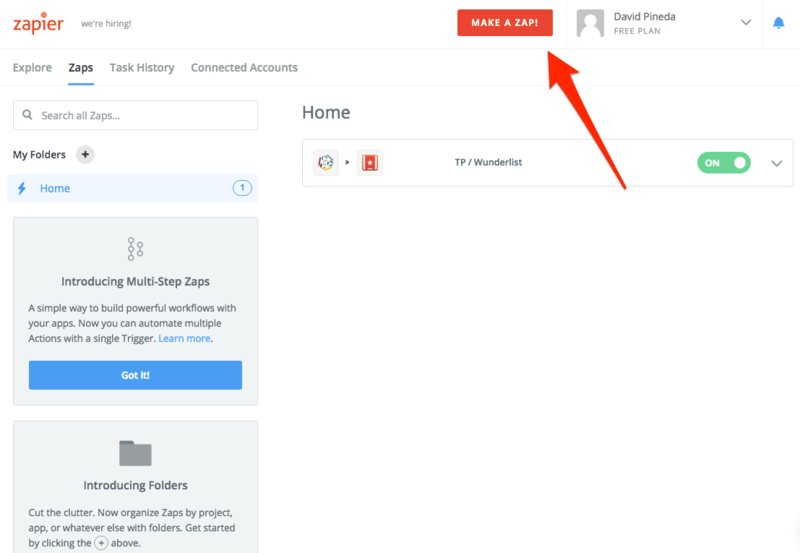 If you don’t already have a Zapier account, start by creating one here. If you also don't already have a ClickSend account, create one here too. 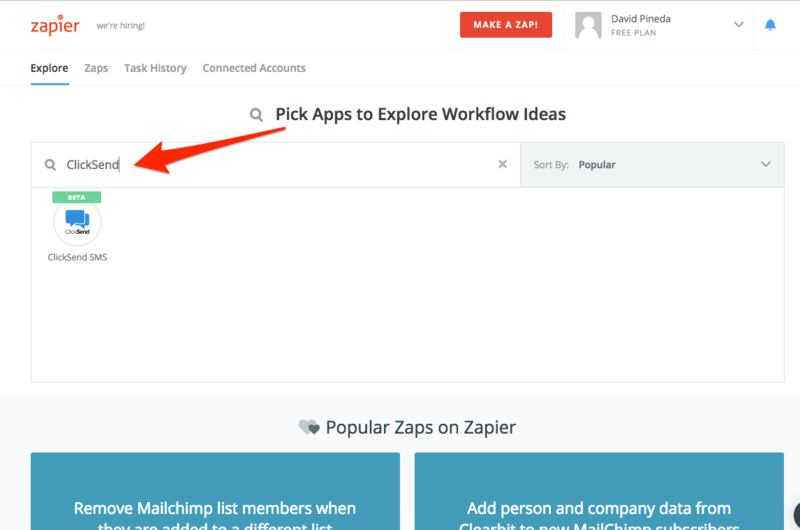 If you already have a Zapier account, start by logging in here. 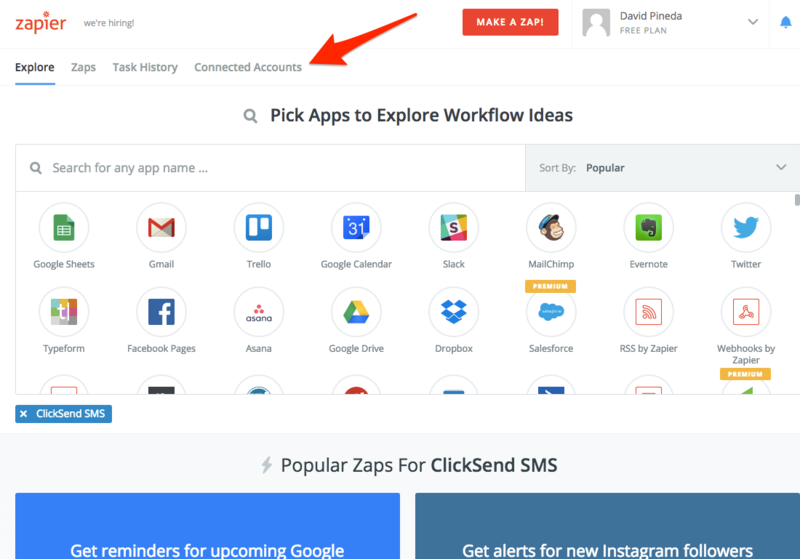 Once logged into your account, your first step is to connect your ClickSend account with Zapier. 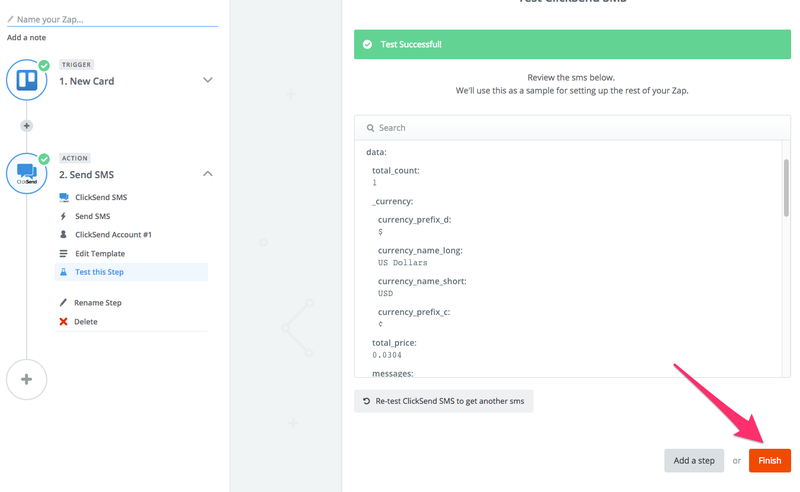 You will then be asked for your ClickSend API credentials, which is available on the ClickSend dashboard. 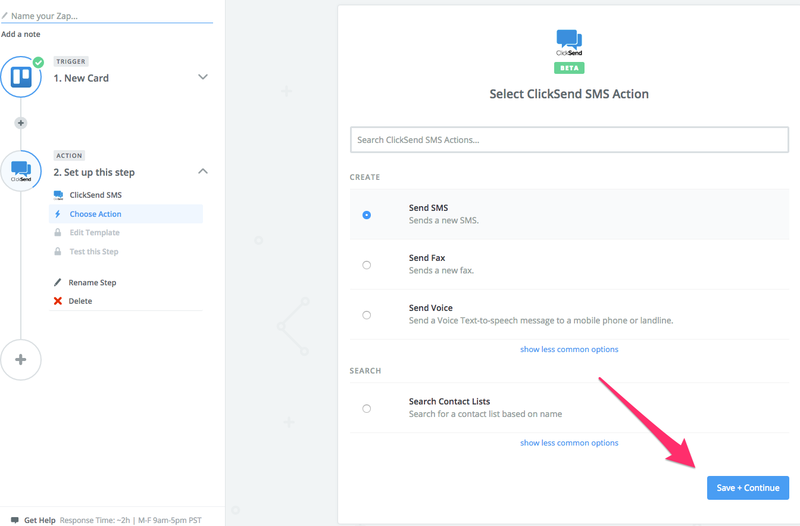 Enter your credentials and click "Yes, continue" and ClickSend will now be connected to Zapier! In this type of zap, a trigger that happens in ClickSend will perform an action in another app. In this instance, we will use an Incoming SMS as a trigger item. Back on the main page, click on the "Make a Zap!" button. ClickSend should now be listed under "Your Apps" section. Select ClickSend, and you will see the trigger action available for use. Click Save + Continue. Be sure to test if the SMS is seen successfully, and Continue again. You may now proceed with selecting an Action for this trigger. Next up is where the magic happens. 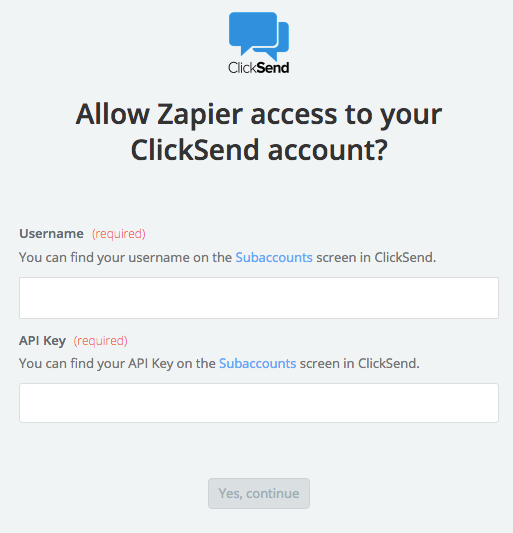 In this type of zap, a trigger that happens in another app will perform an action in ClickSend. 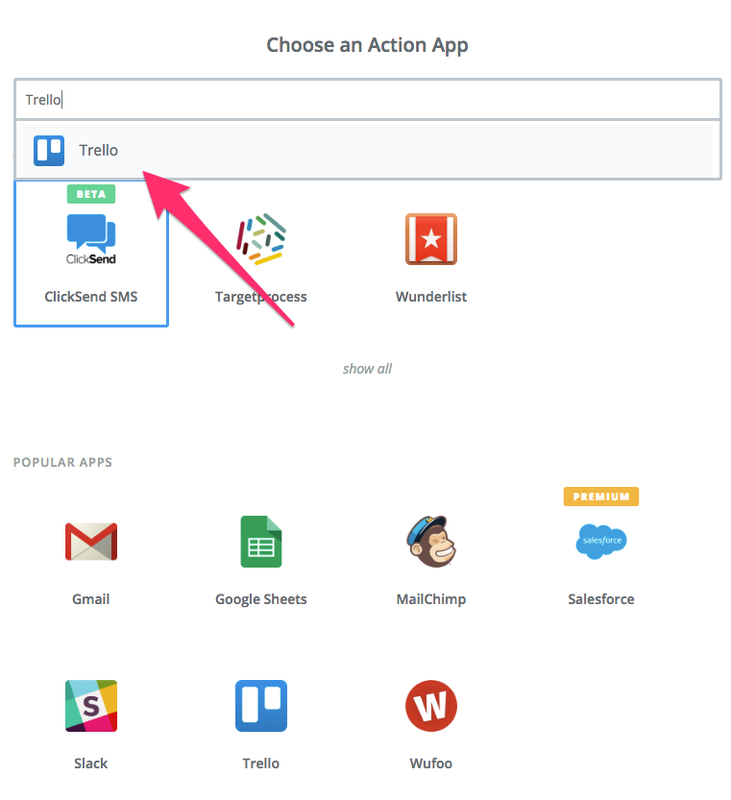 In this example, we'll setup a highly popular collaboration app, Trello, as a trigger app to partner with ClickSend as the Action app. 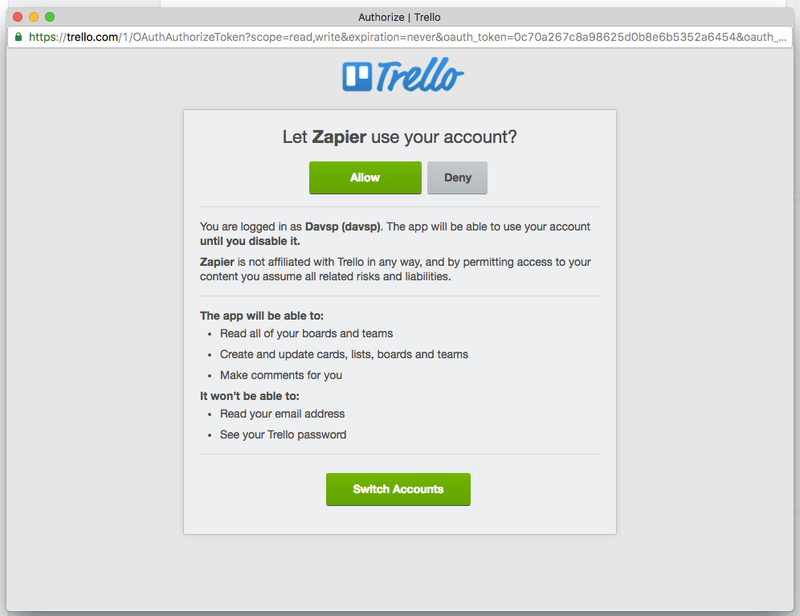 Like before, we will first connect Trello to Zapier. Select which board should be monitored for new Cards. 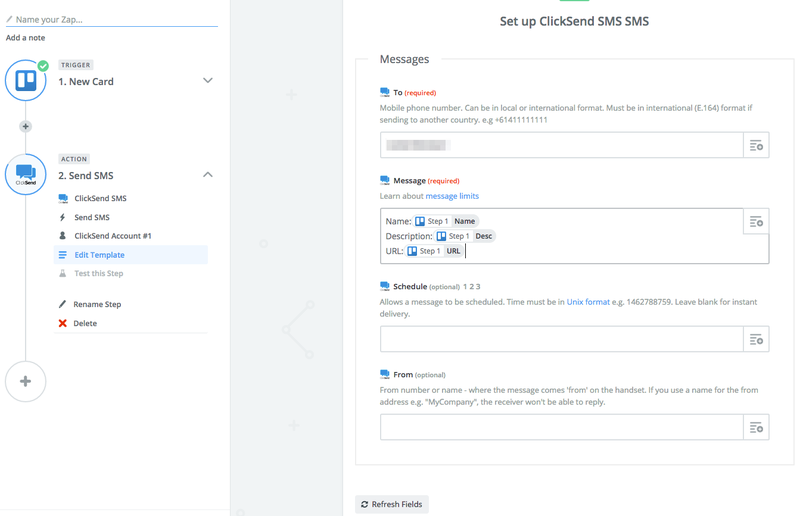 Any new card created will trigger a new SMS to be sent via ClickSend. Choose Action - This is what will fire when a trigger occurs. Click Save + Continue. The next Edit Template screen offers flexibility. It is upto you how to format and display your messages, as they are sent to the target number. Clicking on the dropdowns will give you options, which are based on data that the Trigger application supplies. Feel free to experiment with the fields. Edit Template screen. Customize your layout. And that's it - all you have to do is make sure the zap is enabled. 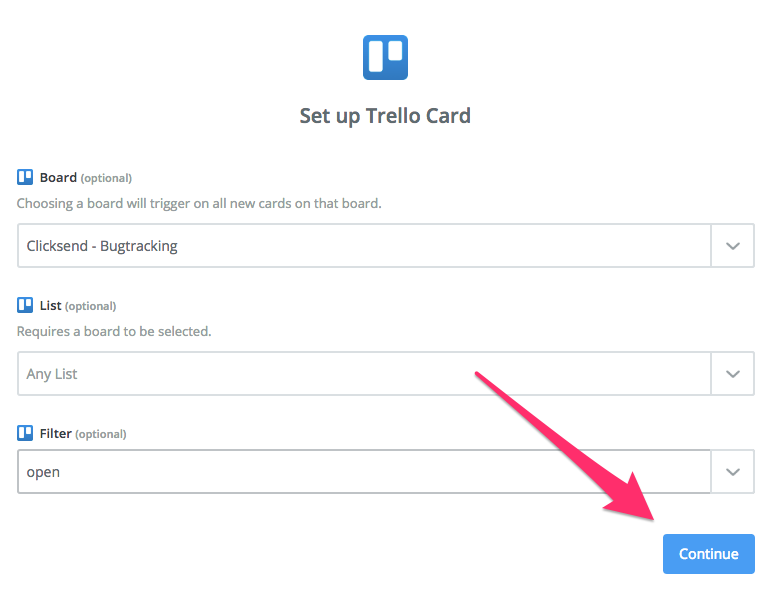 From now on, every Trello card created will send an SMS to the dedicated number.